The Ava pendant is a modern marvel. 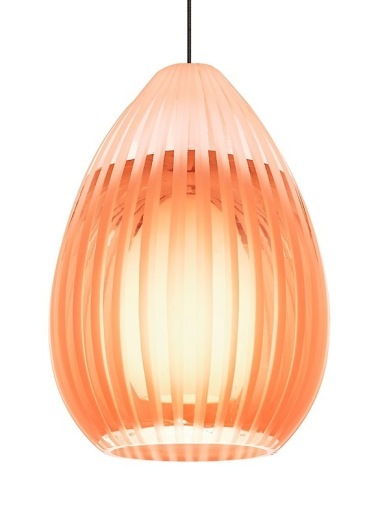 Crafted from hand-blown Polish glass, this light feature a clear draw at the top and inner white glass diffuser. The body is in a classic teardrop shape, and the body is hand carved to accentuate the color of the pendant. Includes low-voltage, 35 watt halogen bi-pin lamp and six feet of field-cuttable suspension cable. Select bronze, satin nickel or chrome finish.